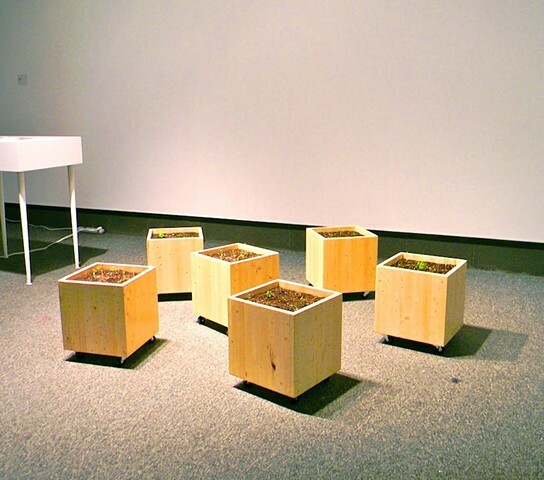 variable, each box 12" x 12" x 12"
Pine, soil, various seedling plants, castors. Six garden plots on castors planted with seedlings that appear in my garden, and also in my grandmother's. Producing a conversation between two people through the collection of plants and the act of gardening.